Welcome to the third day of the Reel Time blog tour. This collection is from Zen Chic and it is wonderfully reminiscent of Comma, which is my favorite Zen Chic line. These are a few of my favorite prints. 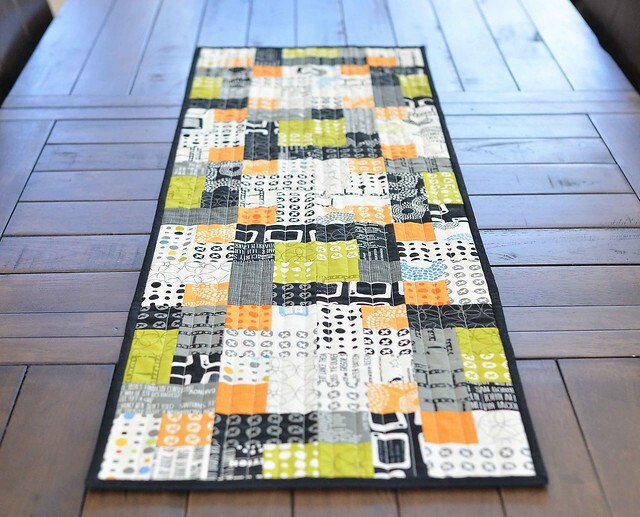 I decided to make a table runner using a little of most of the prints in the collection. The truth is that I couldn't pick favorites and wanted to use everything. The colors of the prints really inspired me; I love how that within each color, the prints are similarly colored, but there is enough of a difference in value to give the finished project some dimension. 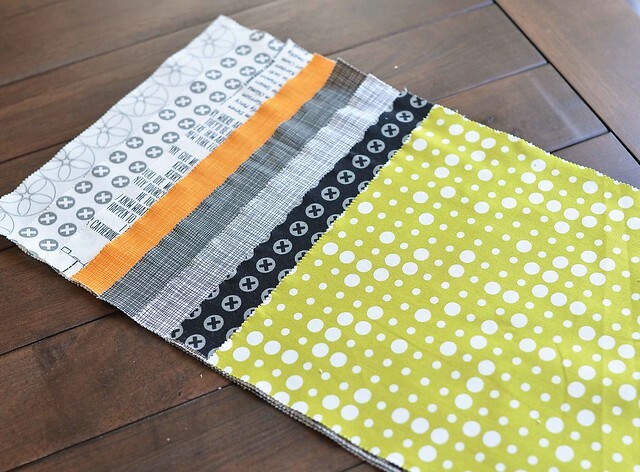 I am looking forward to picking up yardage, especially of the low volume prints. Make sure to follow along with the blog tour to see lots of other projects featuring Reel Time. Oooooh! I do love this runner!! You have placed the colours nicely and it looks awesome! I love this collection... Thanks for sharing! I love this collection for your runner. Great job. Thanks for sharing. Great table runner. It also reminds me of Halloween. This runner is wonderful, love it! Great runner to span several seasons. I love it! Did you use a pattern or tutorial for the runner? It looks like the beginning of a log cabin maybe? 2 squares and a rectangle for the block? You planned your color placement very well. It looks great! Erica, it's a pleasure to meet you. Gorgeous work! I would find it hard to choose favourites too. I loved Comma and this range looks right up my alley too! 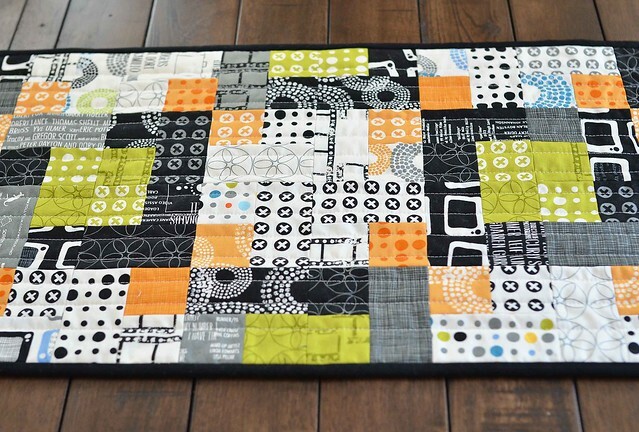 Love this table runner! Great job!